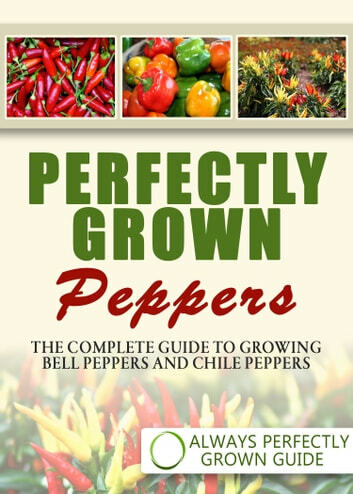 "Perfectly Grown Peppers - the complete guide to growing bell peppers and chile peppers" is the perfect guide to growing peppers at home. This is the perfect guide if you are a first-timer looking to grow some peppers to eat at home or a seasoned tomato grower looking to sell peppers at the local farmer&apos;s market. This details all aspects of growing from choosing the correct variety of pepper right through to harvesting and seed collection for the following season. 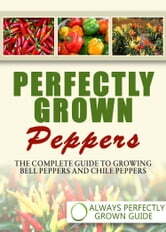 This also includes a section on companion planting to ensure a great pepper harvest. There is also a section on balcony growing, if you are a city dweller or have limited space for growing. This guide contains a wealth of hints and tips, and comes complete with a handy troubleshooting guide to make sure your peppers grow great first time. Compiled by seasoned horticulturists and gardeners, this is our 4th book in our best-selling gardening series (Always Perfectly Grown Strawberries; Always Perfectly Grown Tomatoes; Perfect Compost). After reading this guide you will have Always Perfectly Grown Peppers.